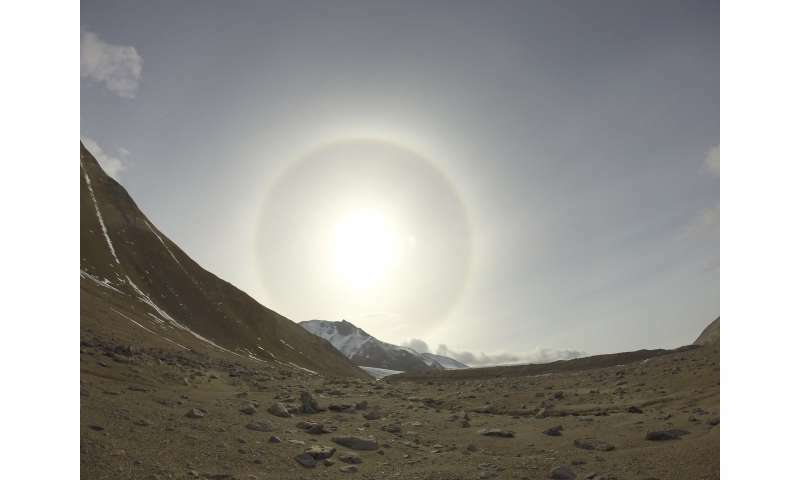 In a study spanning two decades, a team of researchers led by Colorado State University found declining numbers of soil fauna, nematodes and other animal species in the McMurdo Dry Valleys, one of the world's driest and coldest deserts. This discovery is attributed to climate change, which has triggered melting and thawing of ice in this desert since an uncharacteristically warm weather event in 2001. There are no plants, birds or mammals in the McMurdo Dry Valleys, located in the largest region of the Antarctic continent. But microbes and microscopic soil invertebrates live in the harsh ecosystem, where the mean average temperature is below -15 degrees Celsius, or 5 degrees Fahrenheit. The findings offer insight and an alarm bell on how ecosystems respond to climate change and to unusual climate events, scientists said. "Until 2001, the region was not experiencing a warming trend," said Walter Andriuzzi, lead author of the study and a postdoctoral researcher in the Department of Biology and School of Global Environmental Sustainability. "On the contrary, it was getting colder," he continued. "But in 2001, the cooling trend stopped abruptly with an extremely warm weather event. Since then, the average temperatures are either stable or are increasing slightly. But most importantly, there have been more frequent intense weather events." The research team sampled soil invertebrates and measured soil properties, including water content, in three hydrological basins and at three different elevations in the region. In Taylor Valley, the field study was launched in 1993; in Miers and Garwood valleys, scientists started their work in 2011. Andriuzzi said what the team found in this long-term study cannot be observed by looking at average or monthly temperatures. "It's a few hours, or days of unusually warm weather," he said. "There are even peaks of high solar radiation that trigger ice thawing without high temperatures. That's how climate change is happening there, and it's already starting to impact the biological community there." 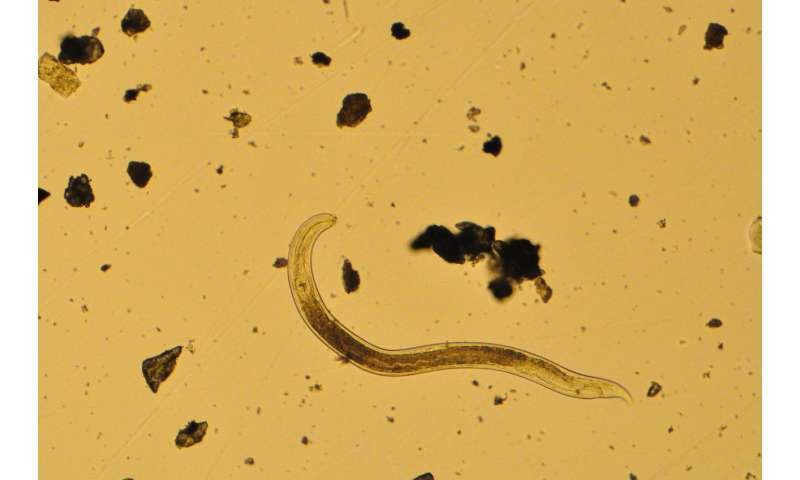 Higher temperatures mean more melting and thawing of ice from glaciers and permafrost, which has led to the decline of the most common species, the nematode Scottnema lindsayae. Other species are becoming more abundant and are spreading uphill. As a result, at higher elevations, the microbes and animals in the soil are becoming more diverse, with unknown consequences for the ecosystem. "This is happening worldwide, and not just in Antarctica," said Andriuzzi, who is a researcher in the lab of University Distinguished Professor Diana Wall. In the Rocky Mountains, for instance, scientists have observed insects moving uphill on a year to year basis, due to warming temperatures. 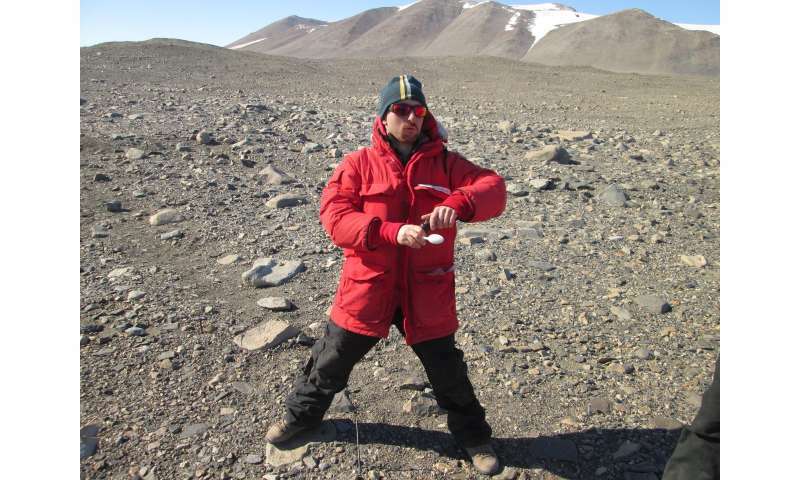 Andriuzzi, who led field work in the McMurdo Dry Valleys, called Antarctic nematodes "remarkable creatures." "It's amazing that they survive in these conditions," he said. The growing season only lasts a few weeks, but in the field, this microscopic animal may live 10 years. Given what the team found, Andriuzzi said it will take time for the nematode community to recover from these disturbances. "With climate change, some species are winners, some are losers," he said. "In the Dry Valleys it's all about how they respond to warming and, most importantly, water." Andriuzzi said shifts in communities are often very hard to predict because there are so many species. "It's easier in places like the dry valleys to isolate the effects of climate change, or to isolate how one species responds to climate change in one way," he said. "It's a natural laboratory, where some of the mechanisms that operate elsewhere can be unveiled." Seems a stretch to attribute the changes seen (if reproducible, which seems unlikely) due to "climate change". Especially if "what the team found in this long-term study cannot be observed by looking at average or monthly temperatures." "There are even peaks of high solar radiation that trigger ice thawing without high temperatures. That's how climate change is happening there, and it's already starting to impact the biological community there." So, the variation of intensity of solar radiation is now climate change? How did this happen. Are steps being made to extinguish the sun to prevent this unwarranted assault upon our climate? FFM, the problem with convincing the Public and the Plutocrats that Climate Change is an increasingly serious danger to all our lives? That the scientific community has to collect, verify, correct, collect more data, verify those new findings, correct any errors found and constantly recertify their findings to an excruciatingly high level. To even get heard against the propaganda storm from deniers and other anti-science cultists, well paid by the Carbon industry. What? You're not getting paid to be a pusher of anti-change tripe? Those other guys are raking in their thirty pieces of silver. And you are not smart enough to claim a share in the loot? Well, sorry for you, bunky. You are not doing science. You set out to prove a narrative and manipulate evidence to support it. "There are even peaks of high solar radiation that trigger ice thawing without high temperatures. Instead of looking at the research, I shall pick out one sentence from a press release. That's how science is done, right? Well Sp, since you wanted research, enjoy. And I hope you bought yourself something nice with your silver shill's fee.